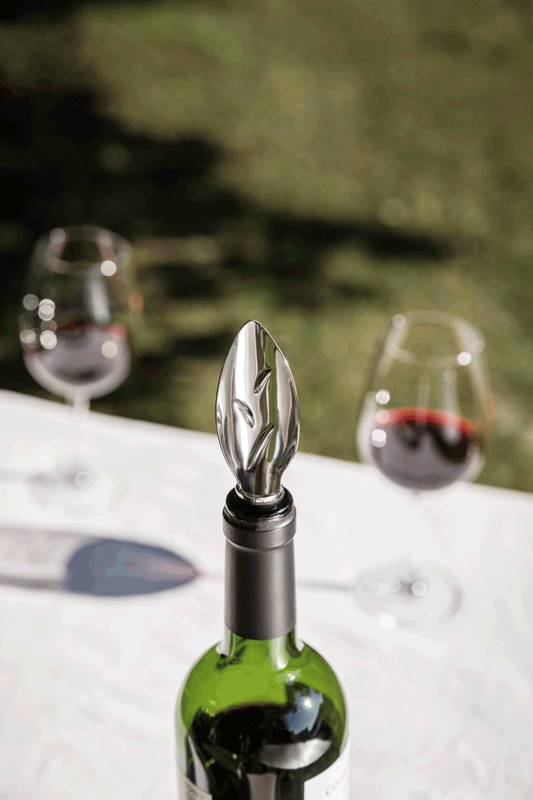 The Pourer-leaf is the first open pourer which oxygenates wine as soon as it comes out of the bottle. 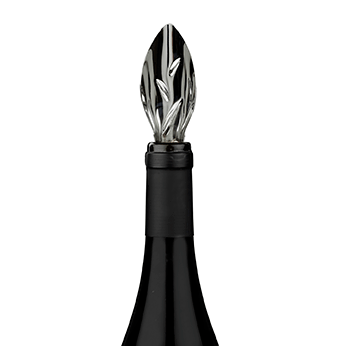 Wine aromas are gently stimulated, thanks to the Aroma Lines and the widening out of the leaf. The flow is easily controlled. Stainless steel and food grade synthetic material. Design patent.